Inanna Poetry & Fiction Series, 9781771335898, 300pp. 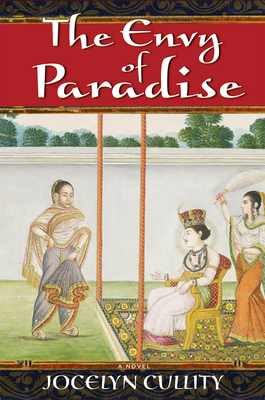 A poignant picture of love and loyalty, and based on historical events, The Envy of Paradise is a fictional account of four people who played key roles during the 1857 uprising in Lucknow, one of the most significant resistances to English rule in India. Set before Queen Victoria was proclaimed Empress of India, the novel follows Begam Hazrat Mahal, the African-Indian woman who organized the resistance to English rule; her multi-talented but tormented ex-husband, King Wajid 'Ali Shah; Maryam Pari, manager of the Envy of Paradise (a dancing/singing school at the King's palace); and the conflicted Sir Henry Lawrence who was deeply appreciative of Lucknow and its people, yet driven by circumstances to play a fateful role in the city's demise. Narrated by India's female freedom fighters of the 1940s who look back ninety years from their own resistance to English rule, this passionate story moves back and forth in time as a narrative is compiled from the hopes and fears of those who struggled for freedom long before India gained independence in 1947. Cullity utilizes the most recent discoveries of historical detail to create an illuminating read that is both tragic and triumphant.